There are multiple benefits of having an alkaline body such as you will have fewer infections (colds) and you are less likely to develop cancer and other chronic diseases. Moreover, with an alkaline body, you are more likely to have an optimum weight. Read further to get information of when to and how to make your body more alkaline. The amount of acidity and alkalinity present in your body determines the pH balance of your body. On a pH measuring scale of 0 to 14, the pH of 7.4 is considered ideal for your body. If the pH of your body is below 7.4, then the pH of your body is acidic, making you prone to develop discomforts. Here are some signs for reference. When the saliva becomes acidic you may develop ulcers in the mouth. Crack forms in the corners of mouth that may bleed, loosening of teeth or repeated infections in tonsils and inflammation of gums may also be the signs. There is excessive tearing and irritation of the eyes, or inflammation of cornea and eyelids and frequent bouts of conjunctivitis may develop. There is excessive dryness of skin and formation of hives. The areas from where you sweat may get irritated. Your hair may fall or break and become dull, lifeless and develop split ends. Nails may become so thin that they can crack and break quite easily. You will develop symptoms of acid reflux and acid regurgitation. You may also develop gastritis and gastric ulcers. There is lack of motivation, nervousness, anxiety, irritability and sensitivity to loud noises as well as interest in activities used to enjoy. You are also more prone to develop depression. By creating a right balance between eating alkaline and acidic foods and by exercising regularly, you can make your body more alkaline. Your diet should have an ideal balance between alkaline and acidic foods in the ratio of 80 to 20 percent. Do moderate exercise at least 4-5 times in a week. During exercise your body releases toxins outside of the body through perspiration and breathing. Exercises such as walking, yoga, swimming etc all help to reduce the acidity of the body. Vegetables. 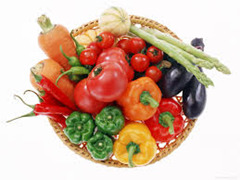 All vegetables are alkaline and should form a major bulk of your diet. You can include vegetables such as broccoli, cauliflower, asparagus, celery, carrots, eggplant, lettuce, cucumber, peas, onions etc. Fruits (except cranberries). All fresh fruits are alkaline, except cranberries that are acidic in nature. 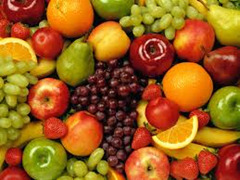 Some of the fruits that you should be eating include cherries, bananas, apples, grapes, lemons, pineapples, limes, apples, tomatoes etc. Lemons and lime are believed to be acidic due to their citrus quality. However, during digestion, they need an alkaline environment; hence they are regarded as alkaline fruits. Meats. 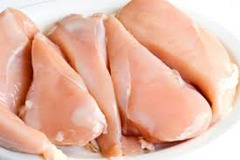 You can enjoy chicken breast that is alkaline, although all other types of animal meats are acidic. Almonds. 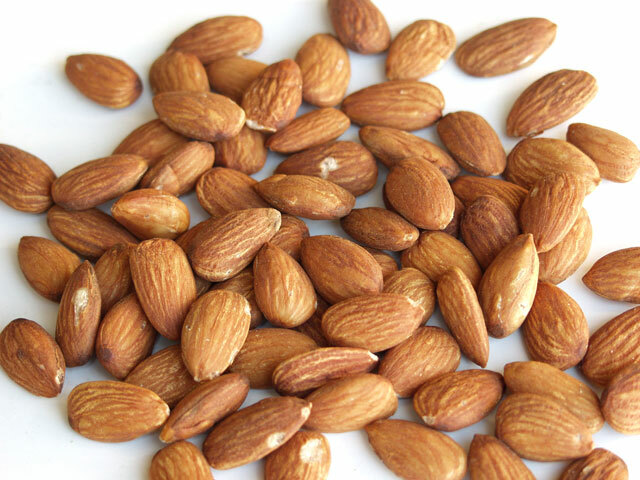 Almonds are alkaline in nature and excellent snacks in between meal. They are also a good source of calcium and magnesium. Avoid almonds that come with salt or sweeteners. To avoid the pesticides soak the almonds in water and remove the brown peel before having them. Millet. Most cereal grains are acidic in nature with the exception of millet. 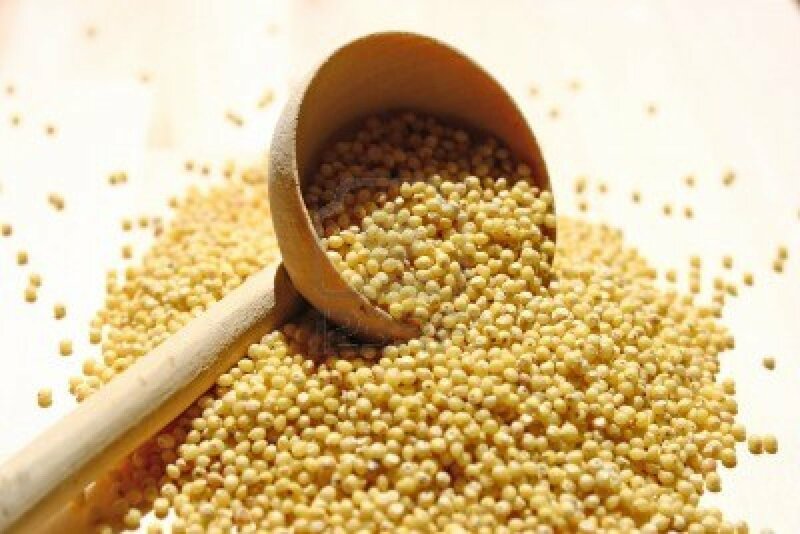 Millet can be cooked in a variety of ways. Moreover, it does not contain any gluten and is an excellent option for gluten sensitive individuals. Spices and Herbs. 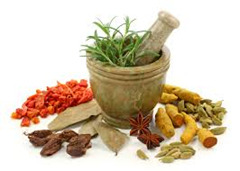 Many types of spices and herbs are alkaline or non-acidic. Some of these include fennel, sea salt, garlic, ginger, cinnamon, curry, cilantro, cayenne, basil, parsley etc. Teas. 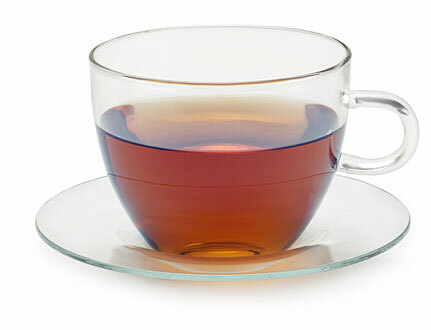 Many varieties of teas such as green tea, ginseng tea, dandelion tea etc are alkaline. However, they should be taken without added sugar and milk. There are many foods that are highly acidic in nature and that needs to be removed from your diet. Some of these are: meats, processed foods, eggs, corn, refined sugars, dairy products, beans, fish and deep fried foods. All the high sugar liquids are acidic in nature and should be eliminated from your diet. Some of these include sports drink, soda, sweetened teas and processed fruit juices. Eliminate caffeinated beverages such as coffee, tea, energy drinks etc from your diet. Moreover, beverages containing alcohol in any form should also be eliminated from your diet. Some of these include wine, beer, hard liquor, mixed drinks etc.